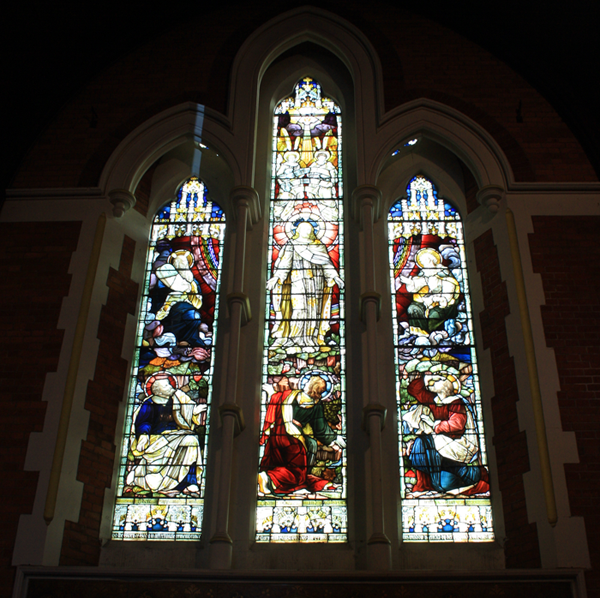 We are a conservative evangelical church, of all ages and backgrounds, on the West Hill of Hastings. This website will give you an idea of who we are, what we believe and the many things going on here, but the best way to find out more is to come and join us at one of our Sunday services. Our services begin at 10.30am and usually last just over an hour. You will be very welcome. There is no dress code or seating plan! If you would like to know more about the mission and vision of our church please click here. We are partners in the Sussex Gospel Partnership and you may like to follow this link to find out more. We care deeply about the safety of our children and our Safeguarding Policy can be found here. Emmanuel’s feature stained glass window.